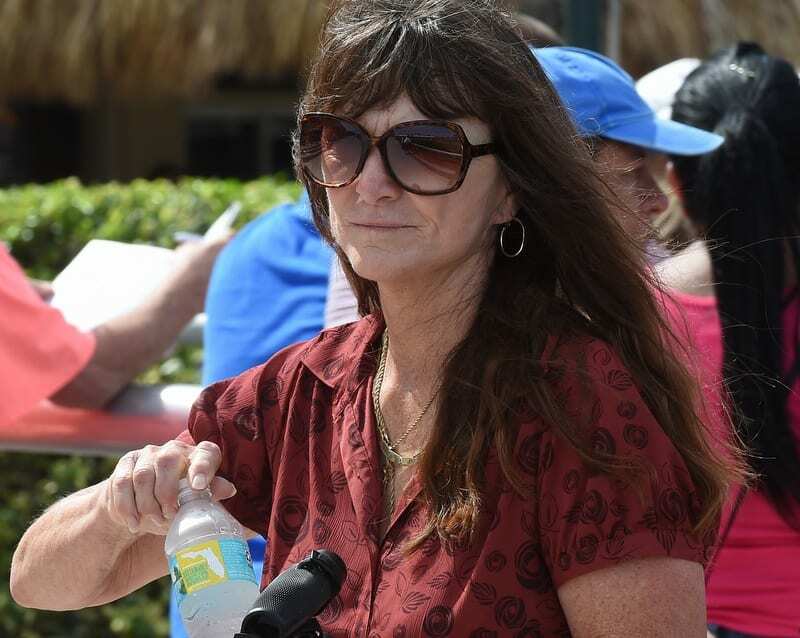 Trainer Kathleen O'Connell is on the verge of saddling the 2000th winner of an enduring career marked by consummate horsemanship, unwavering perseverance, a steadfast work ethic and, most of all, a staunch dedication to her horses. O'Connell, who saddled her first winner, Kim's Lucky Spot, in 1981 at Detroit Race Course, has only been able to produce such an impressive body of work through forward thinking. O'Connell, whose stable is currently based at Gulfstream Park West and Monmouth Park, had planned on taking a whole different career path and would likely be treating horses instead of training them had her application to Michigan State's veterinary program not been denied. Although accepted to Colorado State, she attended a community college and took a job for a year due to economic considerations before looking for employment on the backstretch of Detroit Race Course. O'Connell went from the racetrack to Sugar Hill Farm in Anthony, Fla., where she broke, galloped and breezed horses. “I was in my glory. I got on horses from 7 in the morning to whenever I wanted to with an hour off for lunch,” she said. Yet, she eventually found farm life to be “too boring” and returned to Detroit Race Course, where she galloped for three years before returning for a brief stint at Sugar Hill Farm as the main exercise rider. Back at the racetrack, she galloped several years for trainer W.R. Hart while venturing to Fair Grounds and Tampa Bay Downs during the winter months. She has returned to Tampa Bay Downs every winter since 1976. O'Connell learned her lessons well, becoming the second winningest trainer of all time, trailing only Midwest trainer Kim Hammond, who has saddled more than 2200 winners. O'Connell, whose purse earnings are more than double those of Hammond, has saddled more than 200 more winners than Linda Rice and Christine Janks. There has been considerable quality among the quantity of O'Connell's career successes. She saddled Blazing Sword for multiple graded-stakes victories, including the 1997 Calder Derby (G3), the 2000 Widener Handicap (G3) at Gulfstream and the Washington Park Handicap (G2) at Arlington Park, during a career in which the Gil Campbell homebred earned more than $1 million. She also trained exceptional turf sprinter Lady Shipman during her 3-year-old campaign in 2015 that included six stakes victories and culminated with a second-place finish in the Breeders' Cup Turf Sprint (G1), in which she was defeated by Mongolian Saturday by a neck at Keeneland. O'Connell also teamed for graded-stakes success with Ivanavinalot, who captured the 2003 Bonnie Miss (G2) at Gulfstream. The 2011 Tampa Bay Derby (G2) victory by Campbell's Watch Me Go for her longtime client was especially memorable. O'Connell is still saddling graded-stakes winners. She sent out Stormy Embrace to victory in the Princess Rooney (G2) on the Summit of Speed card at Gulfstream Park June 30. The 1 ¼-length victory in the seven-furlong 'Win and You're In' sprint earned the 4-year-old daughter of Circular Quay a fee-paid berth in the Breeders' Cup Filly & Mare Sprint (G1) at Churchill Downs in November. “I think my biggest accomplishment is that I've been consistent,” said O'Connell of her year-to-year success over the past three decades. This entry was posted in NL List, People and tagged florida racing, gulfstream park, gulfstream park west, kathleen o'connell, monmouth park, Trainers by Ed Gray/Gulfstream Park. Bookmark the permalink.